We all want to have the best and the nicest. We all want to believe that we are better off than our friends and family. We want to look at our neighbors and say we are doing better. Well, let me impart some wisdom — there will always be someone richer. Even Bill Gates became old news next to Facebook founder Mark Zuckerberg. So, when it comes to buying a house, it is not about buying the biggest, nicest, and most expensive one so that you can shock everyone. That will be nice for the house warming party, but then the mortgage bill will show up in the mail and you will begin to cry. The fact is that the mortgage bill comes every month and it doesn’t show up alone. It comes with a gas bill, trash bill, water bill, sewer bill, TV bill, phone bill, yard expenses, and the paint bill. So much paint. Like everyone of us you will say, “Holy crap!” The fact is — keeping up is rough. When you leave your house today and go to work, I want you to remind yourself that everyone around you is smiling through some type of pain. Everyone is lying with every word they tell you and the biggest mistake you can make is to believe them. The fact is everyone around you wants you to believe they are doing great. The fact is that you will never know for sure. You don’t know their prayers, their sins, or why they cry. What you do know, however, is what you have, what you can afford, and how you define your happiness. 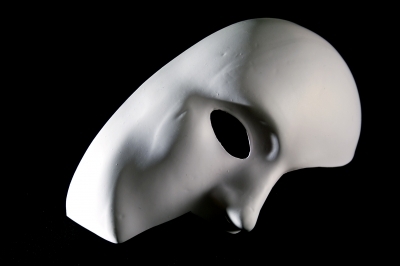 Therefore, if you’re looking to buy, to sell, or even to fix up a house, take off the mask and ask yourself why. Is it to keep up or is it to build your wealth and promote your pursuit of happiness? Finally, only you know if you can truly afford it. If you have to ask someone, the answer is always no. Anna Domzalski is a staff writer for Financial Bin covering Budgeting, Wealth, Education, and Real Estate. Have a question for Anna? Email her at Anna@FinancialBin.com. (Image: Adell Rucker / FreeDigitalPhotos.net).